Colour: White Glitter Swarovski on Black Mirror. With the perfect balance between nature and glamour, this stunning piece will truly enhance any room. Designed and hand made in the UK, you can get this design custom sized to your desire, or choose from one of our set sizes. 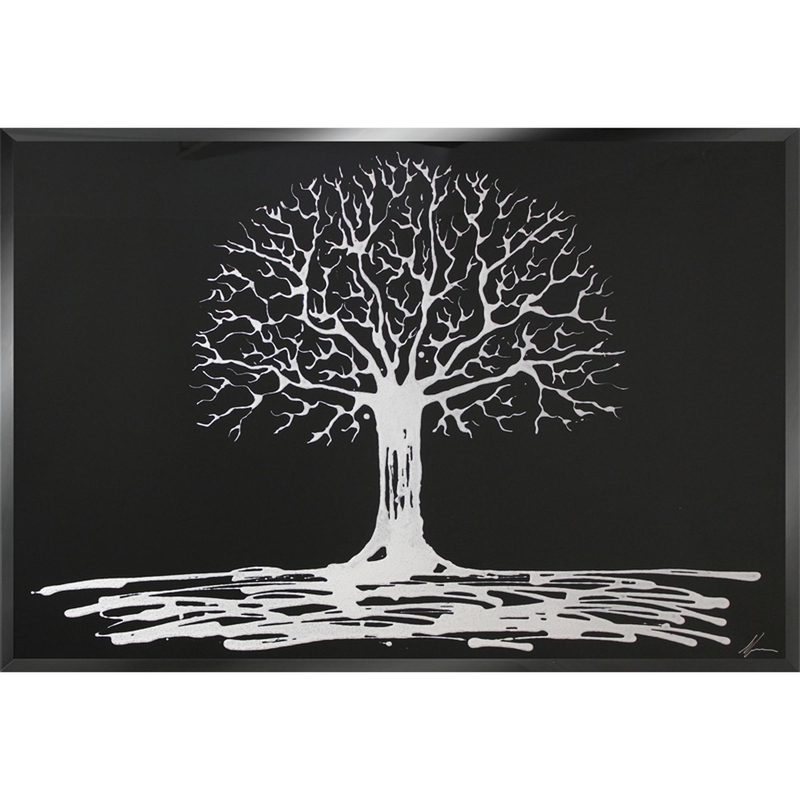 Featuring a white Swarovski glitter tree in the centre of the design, on top of a black mirror. A modern design that wont fail to impress. Custom sizes can be made. For further information, please contact our office on 01642 455589.